One of the biggest problems in the treatment of former Maryland football player Jordan McNair was that it was nearly two hours between the time he collapsed and his arrival at the hospital. Walters stressed that the key in treating heatstroke is rapid recovery, rapid assessment, cooling and medical care. The findings of an independent investigation into the death of Maryland football player Jordan McNair were released Friday and the report stated that there appeared to be a failure to recognize the severity of the incident. The report stated that when the severity was identified, inadequate cooling devices were used in place of cold water immersion or cold whirlpools. Dr. Rod Walters, a former college athletic trainer and sports medicine consultant, led the investigation launched by the school following McNair’s death. 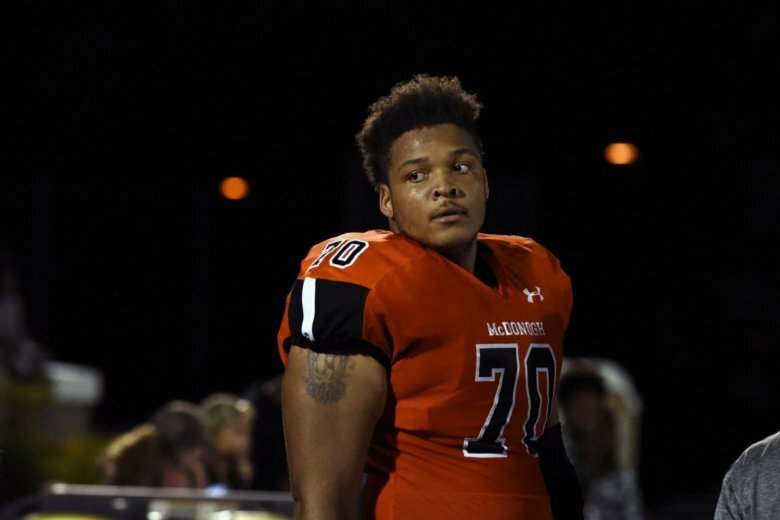 An independent investigation into the death of University of Maryland football player Jordan McNair has determined that trainers on the scene did not follow proper procedures after he collapsed on the field. McNair was hospitalized on May 29 after a team workout and died June 13. The family attorney said the cause of death was heatstroke. Maryland athletic director Damon Evans acknowledged last month that “mistakes were made” by the training staff in the treatment of McNair, a 19-year-old sophomore offensive lineman. Terrapins head coach DJ Durkin is on administrative leave while an unrelated external investigation into the culture of the football program is being conducted.